Sorry i haven't posted for the last 2 days I was busy on Tuesday and on Wednesday I had dance. 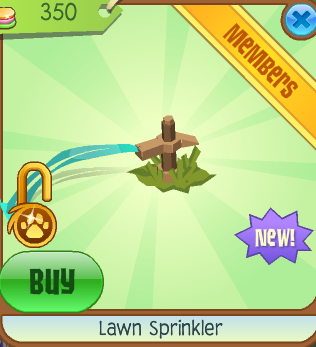 Today we have some sprinklers I think its a great idea for an activity in the summer when your really hot it could be used instead of a pool! Anyways we do have more 500 views so there will be a new contest tab that comes with a contest and I will be adding more things to this blog so make sure you check it out and stay tuned! 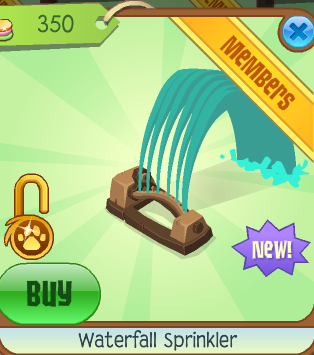 More issues coming soon to belle the rhino. Also thanks to 2fangwolf for making me this wonderful logo! 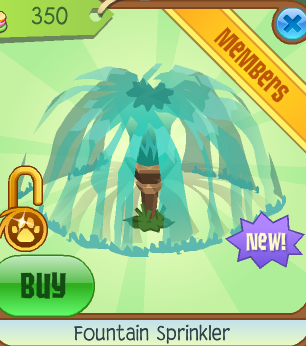 I love how animal jam is getting summer-related items ^-^ makes me want to go swimming or something.